Engineers use various computer softwares such as SIMARIS, ETAP, AutoCAD, etc. to increase productivity and efficiency in constructing circuit designs, and other wire designs for business. However, with all that on one side, choosing the right GPU (Graphics Processing Unit) can speed up your productivity and enable you to create impressive and complex engineering designs. While GPUs were primarily used for video games, the recent development of software suites have made them highly useful for engineers in developing efficient, high performing and complex engineering building or circuit designs. While Graphical Processing Units are mainly designed for video games to give the gamers a great gaming experience with top class and complex graphics, the same can be used by engineers to create complex designs for buildings, and other facilities using CAD applications. It is not only the hardware, and the memory of the CAD- Specific GPU that is impressive in its features, it is also the internal software that is efficient, effective, accurate and convenient. The software is equipped with highly integrated features to identify common paths in order to mark them and speed up the access to these courses. 1. To ensure reliability, and accuracy of your design, you need to get hold of a valid certification from independent software vendors that provide you a list of GPUs that could suit your workstation. For optimal performance and accurate results, it is important to use certified GPU products from vendors. So if you’re using AutoCAD, you need to choose from a list of Autodesk products that best fit your GPU. 2. A professional and top class GPU usually comes with extended warranties and manufacturer guarantees. A GPU specifically for CAD applications must be designed to be durable, long lasting and free of erroneous applications to ensure they serve the designers and AutoCAD users for a long time and help them derive complex engineering designs without poor performance or glitches. 3. The prices of professional GPUs vary depending on the specifications, demands and the usage of the product. At the end of the day, you need to choose a middle ground for GPU selection; the one that gives you optimal performance and within your specified budget. 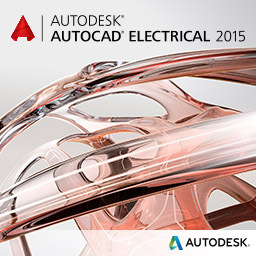 Check the Autodesk site for the proper GPU for your Autodesk software. Steward Hudson is a researcher/blogger with experience writing for multiple industries including health, energy, finance, and more. His writing pertaining energy usually covers electrical power distribution, electrical cost estimating, and power analysis. Steward is one of the regular electrical engineering bloggers for DesignNews and occasionally contributes for Schneider-Electric’s Blog. He is currently writing for www.CurrentSolutionsPC.com.